Our beloved Mooch, who taught us a long time ago that male big brown bats definitely sing to their special ladies and have ultrasonic beat downs with other males. 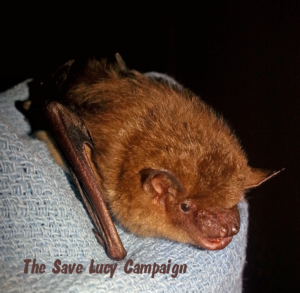 Save Lucy’s President, Mrs. Sturges, found an interesting article that looks into the mystery of bat sounds. Scientists have found that some of the sounds that bats make resemble those of birds. Out of the 1,300 different bat species, the social vocalizations of about 50 have been studied. Of those 50, scientists discovered that about 20 of them are actually singing. It’s hard to hear bats singing if you go outside and watch them flying around. This is because a bat’s vocal range is in the ultrasonic range that is inaudible to human ears. In order to hear the bats’ sounds and research them further, scientists recorded bats singing and slowed them down. Their research has shown some similarities between bat and bird songs. Both bats and birds use the basal ganglia and prefrontal cortex parts of their brains to sing. Scientists believe that neural circuits also control bat vocals and how they are able to sing. 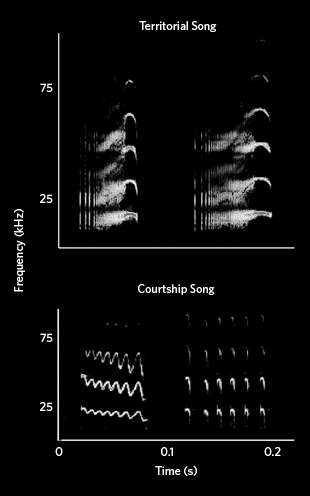 Even though most bat species sing in an ultrasonic range, one species loves to sing in a range that humans can hear. The singing of the Greater Sac-Winged bat can be heard for miles. If you would like to read more about bats singing, you can find the article here. And now for a public service announcement. Daylight Savings Time begins on Sunday. Don’t forget to move your clocks 1 hour ahead before you go to bed tonight. Previous StoryCan engineering match the agile flap flaps? ?